Do you dread these frosty cold mornings knowing that you must get out of bed and into a freezing cold bathroom? Well, you can, live in comfort and warmth with a few small modifications in your bathroom such as heat lamps, floor heating, and a heated towel rail. We have been helping a lot of customers this winter, escape these cold mornings and they could not be happier with the results. 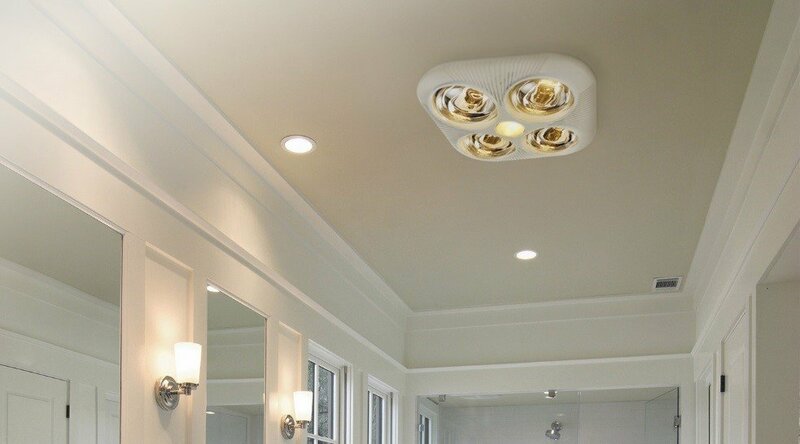 A lot of houses already have existing heat lamps, but you may find that they can be inefficient and power hungry, mostly due to age. So, by updating them the heat itself might be stronger along with potential electricity savings. Also, there are many varieties of heat lamps, you can get small 2 globe lamps, larger 4 globe lamps, and larger units with tungsten halogen halo heat lamps. Most of these units come with LED lights and exhaust fans fitted. We have recently spoken about floor heating on our blog, floor heating provides you with the luxury of warmth evenly distributed underfoot through the tiles and to warm those cold feet. 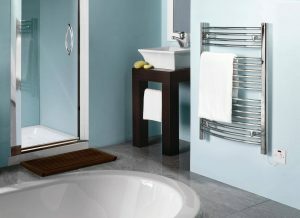 If you also want to go that extra mile you can install heated towel rails which have multiple benefits they warm your towels for when you hop out of the shower, they dry your towels after you have used them, and they add to the room temperature of the bathroom. Just imagine walking into your bathroom with a 4-heat fan light heater warming the air along with floor heating keeping your feet warm, and after getting out of the shower your towels are warm and toasty. This dream can now be a reality and Click Control Systems can help.